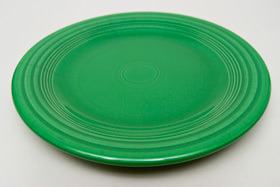 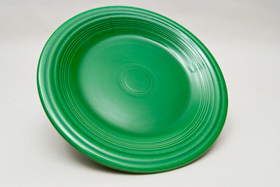 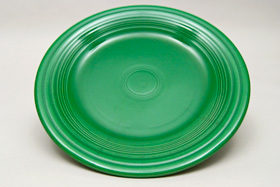 Circa 1960-1969: Medium Green Dinner plates prove to be the hardest of all the Fiesta plates to find. 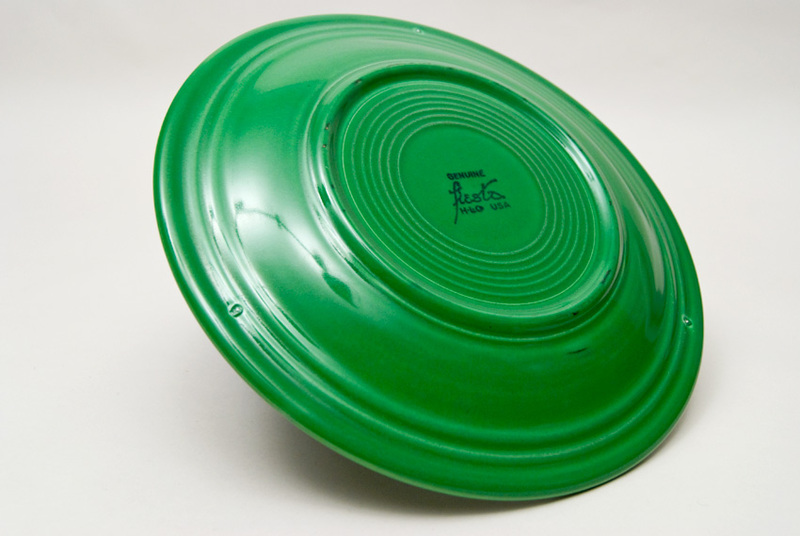 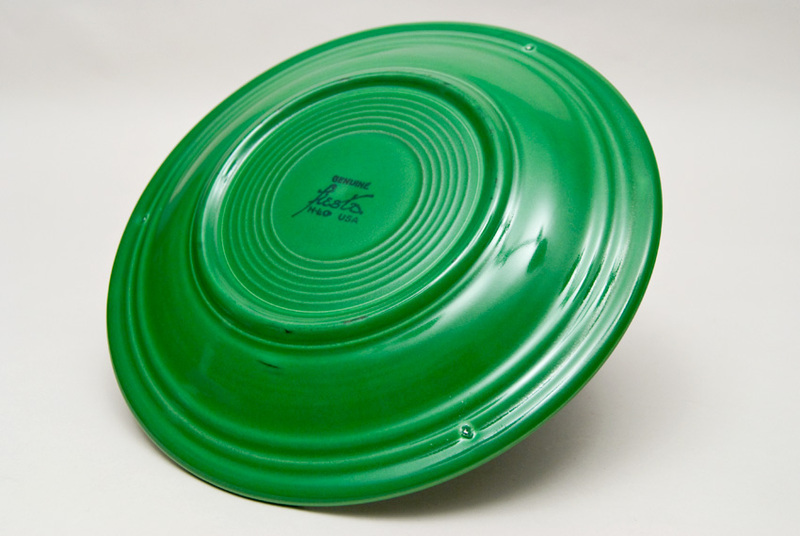 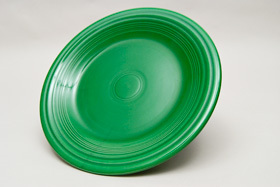 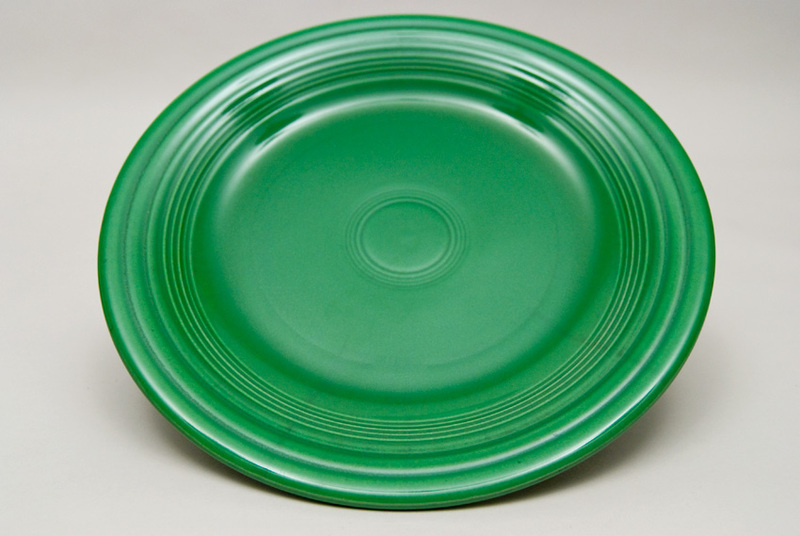 Most sets sold included the 9" Luncheon Plate and smaller plates, so to find the large 10" plate in the last vintage color of Medium Green is a delight. Still a laborious piece of pottery to manufacture, even into the 60s Fiesta tableware was being made using more or less the same techniques as the 30s— incredible to fathom these large pieces of clay being pressed and spun around and tooled and fully dipped and fired twice. This example of the 10" Medium Green Fiesta Plate is in excellent condition and marked "GENUINE fiesta HLCo USA". Measures 10 /16" x 3/4"